From renovation contractors to handymen, from wedding photographers to event caterers, we connect thousands of customers to trusted service professionals every month. Over 40,000 service professionals are listed on our platform (nearly 10,000 in Malaysia alone). 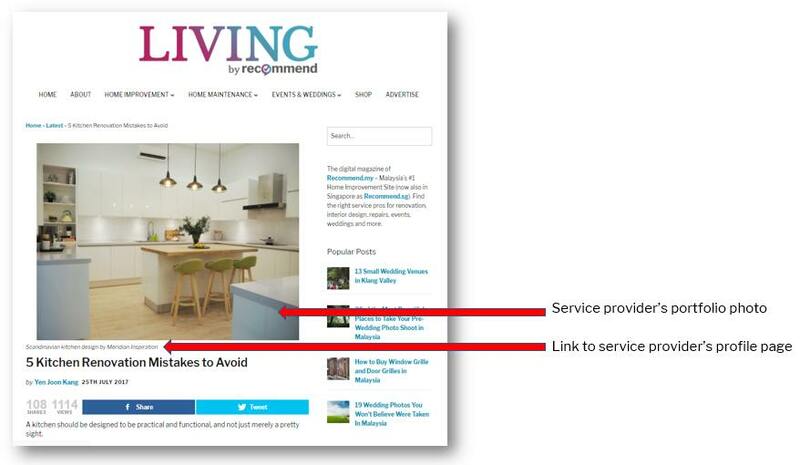 Recommend LIVING is a digital publication focused on home and living. It is also the official blog of Recommend.my. Our articles primarily cover advice and inspiration for the home, including home organisation, home improvement, and interior design. We also write about events and wedding planning. We work with brands as well as the service providers listed on our website; to tell their unique stories, showcase their work, and boost their awareness. Recommend LIVING connects businesses and brands to readers in the 25-45 year old demographic. The majority of our audience lives in Klang Valley, is English-speaking, and are homeowners (or about to be) and are married (or about to be). Our readers are 55% female, 45% male, 45% in the ages 25-34 years old, 35% in the ages 35-44 years old. Recommend.my (blog and main website combined) receives a quarter of a million pageviews per month (as of Jan 2019). Our Facebook page (www.facebook.com/recomn) has over 110,000 followers. 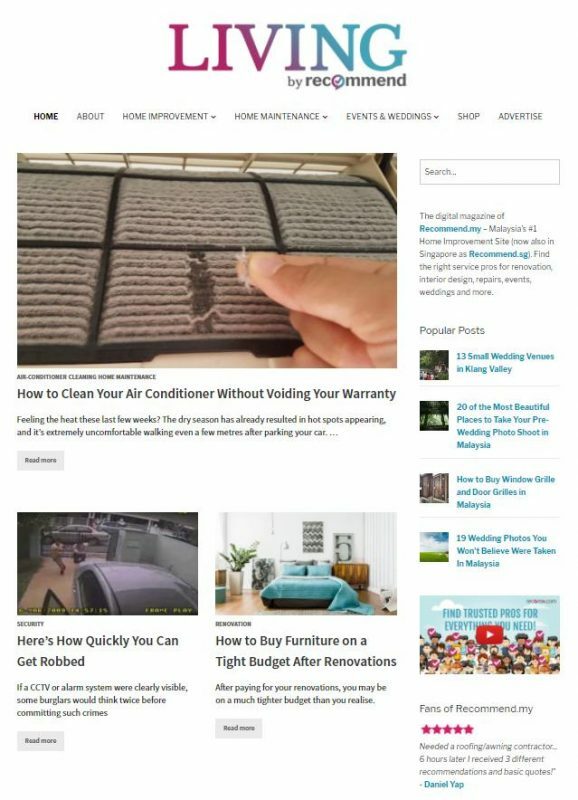 We also have a weekly newsletter, sent to a mailing list of 40,000+ subscribers, made up primarily of homeowners in Klang Valley. Recommend.my writes regular articles and videos around the topic of home improvement. 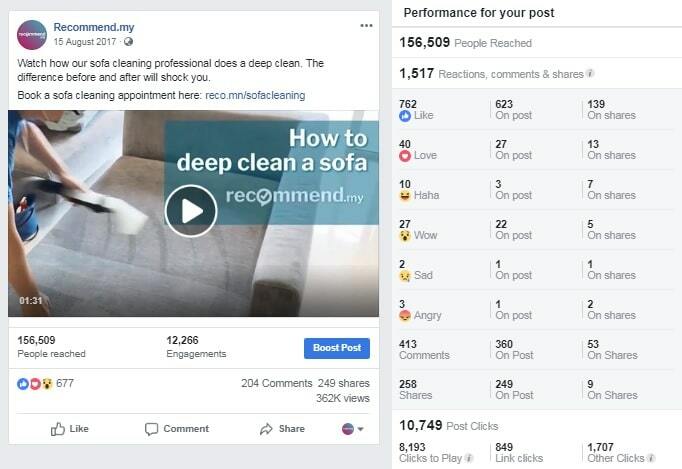 These articles and videos are a great opportunity for brands to reach a market of home decision makers in Malaysia. 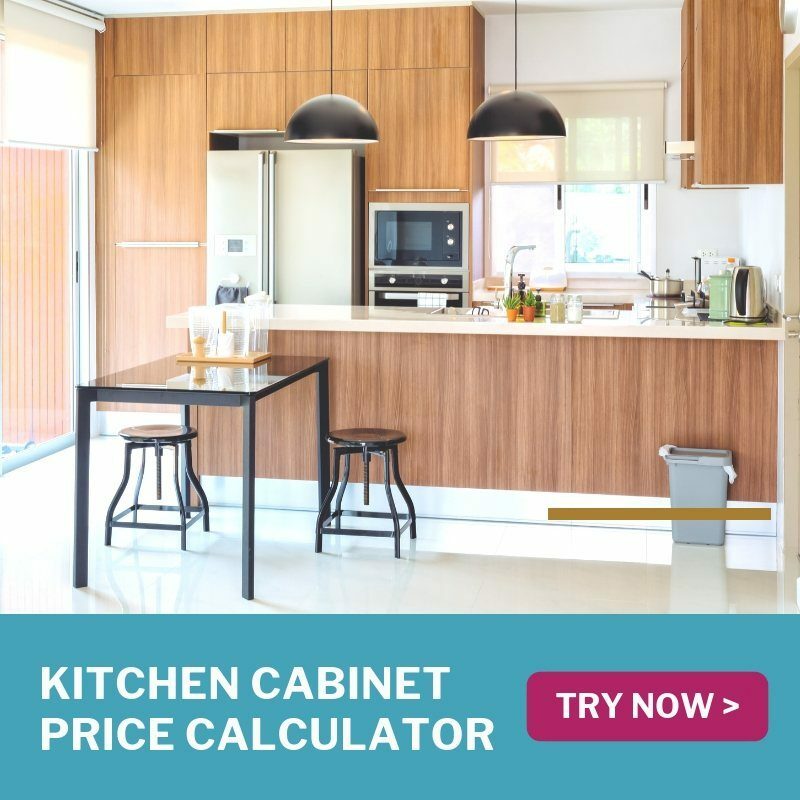 For example, we recently wrote the article “5 kitchen renovation mistakes to avoid“, and in that article, we included examples of work from local interior design brands. The same content will also be posted to our social media platforms, primarily Facebook. This allows us to reach our base of followers and beyond. Recommend.my also produces regular 60 – 90s videos around the topic of home improvement. As part of this video, we showcase footage and/or photos of the work of local brands. 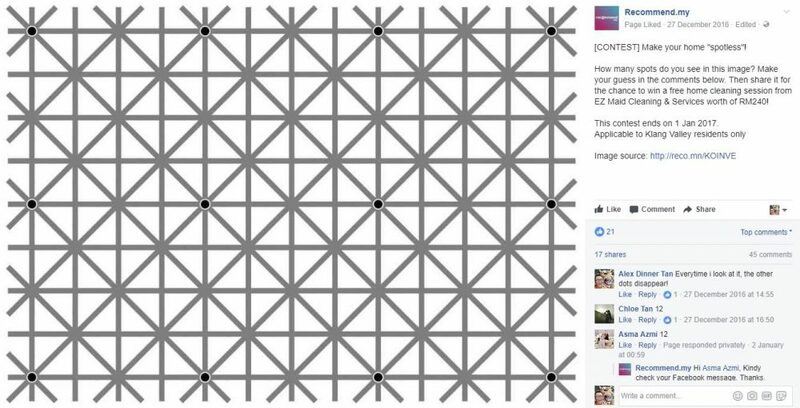 The video below resulted in over 200 shares, 200 comments, and reached over 150,000 people. The videos are posted on Facebook as well as Instagram. 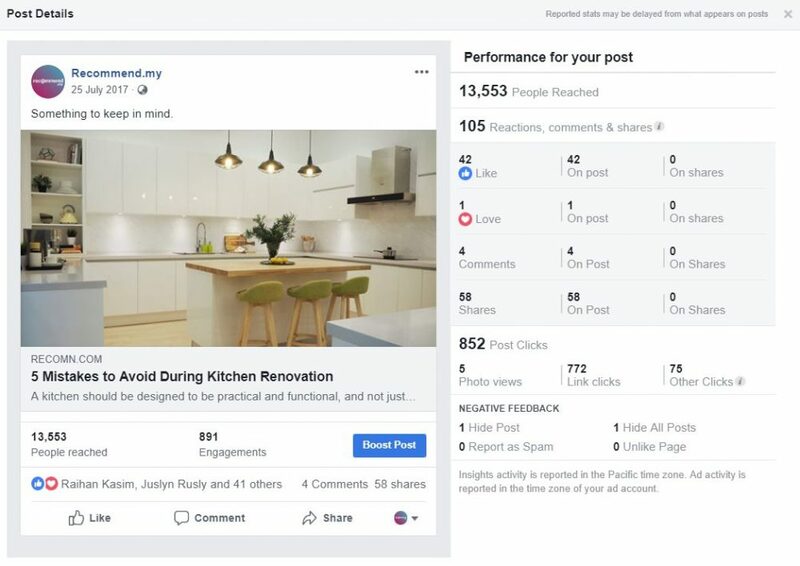 We also regularly post home design inspiration on our social media platforms, with high engagement. 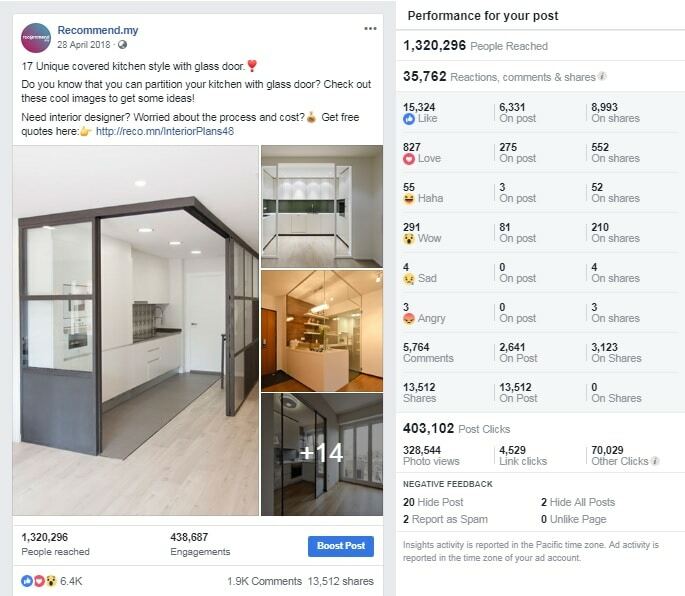 For example, the post below about “Kitchens with glass partitions” received over 13,000 shares to reach over 1.3m people. Another engaging piece of content are our infographics and useful visual guides. 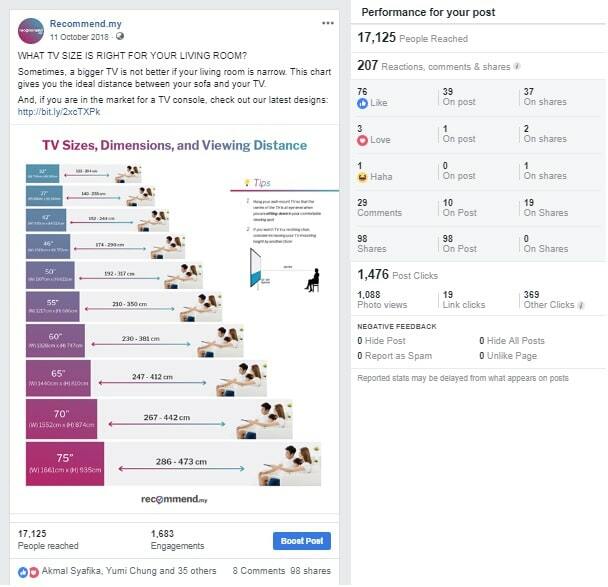 The guide below on “Choosing the right TV size for your living room” was shared nearly 100 times. We can also run contests and lucky draws for you. In most cases, all of the branded content that we produce will also be sent out via our email newsletter. We maintain a subscriber list of home owners, as well as a subscriber list of home improvement professionals. My products are not directly-related to home improvement (e.g. I sell handbags). Can I still advertise? Our editors will meet with you to explore suitable topics, and assess whether your offer is suitable for our audience. We will do our best to make your brand and products relate-able to our audience!